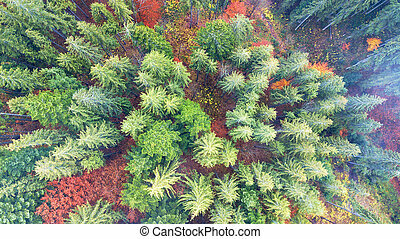 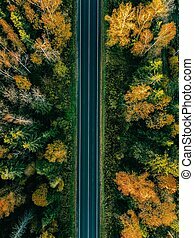 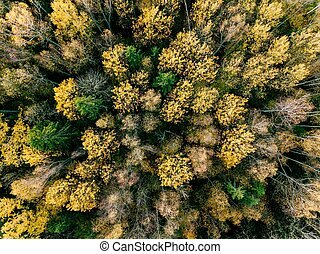 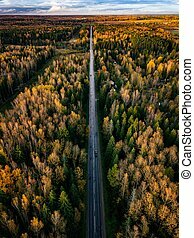 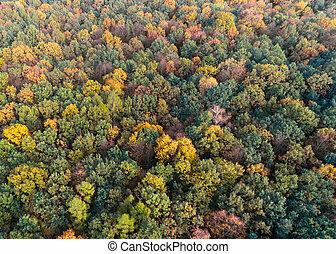 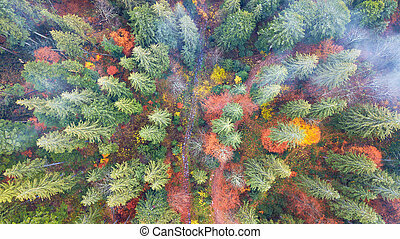 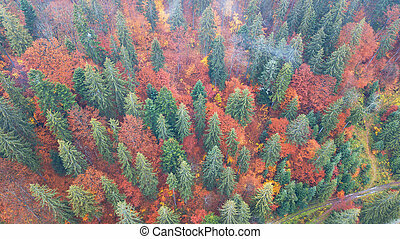 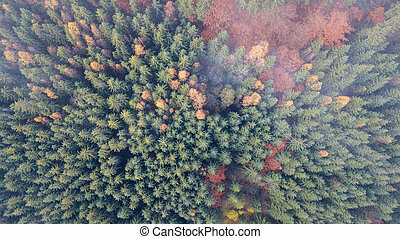 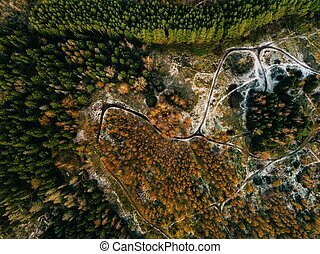 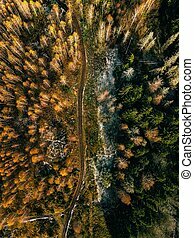 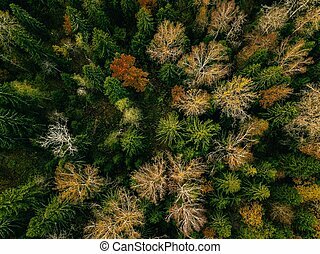 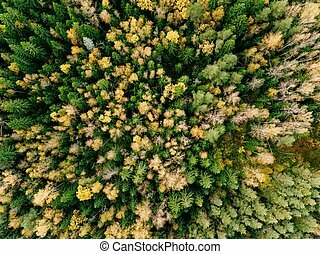 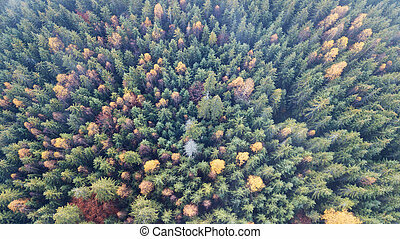 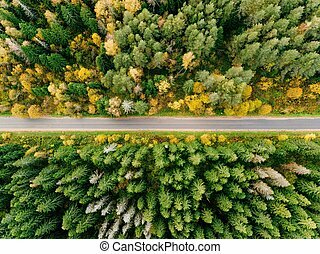 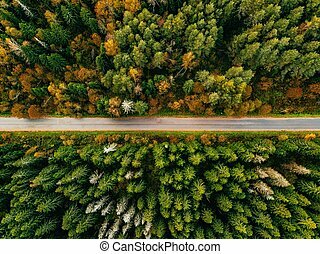 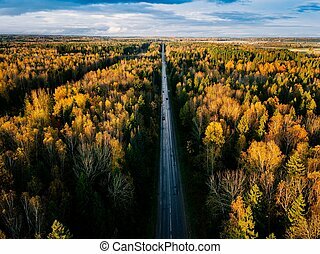 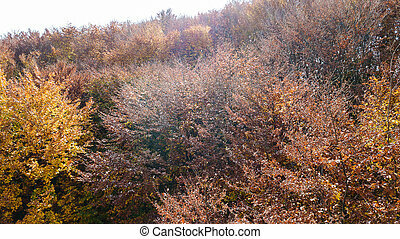 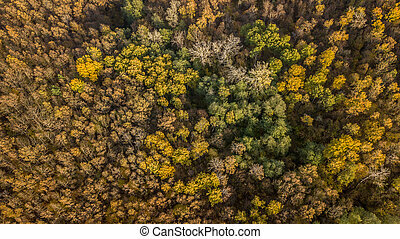 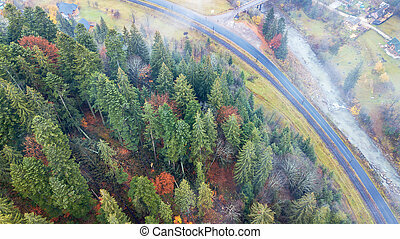 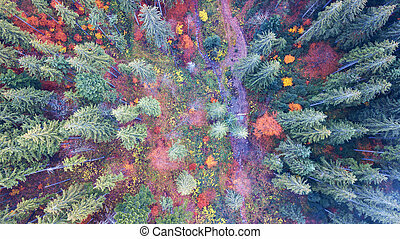 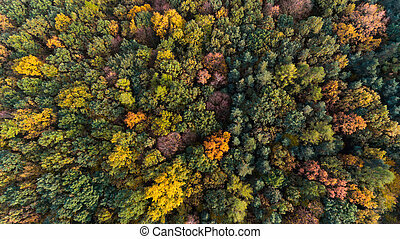 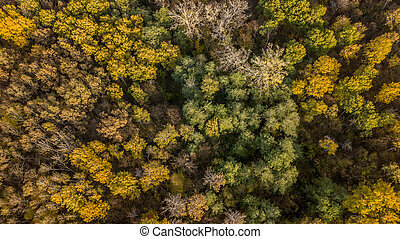 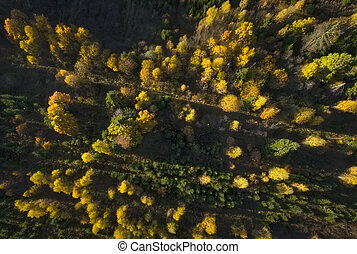 Aerial view of autumn forest. 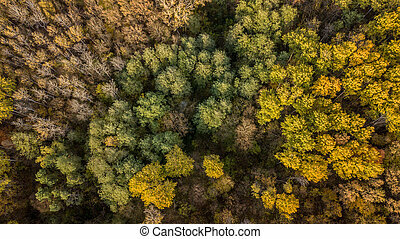 fall landscape with red, yellow and green trees. 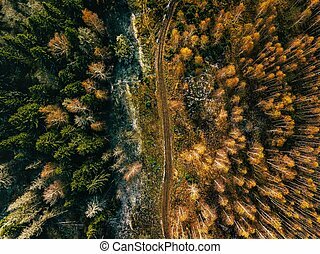 drone photography. 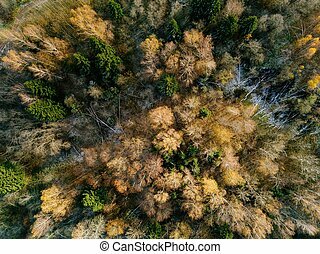 Aerial View Of Autumn Forest. 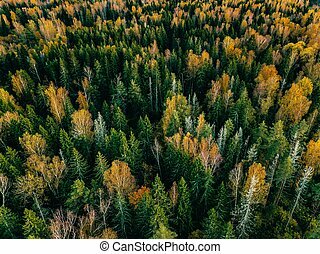 Fall Landscape With Red, Yellow And Green Trees. 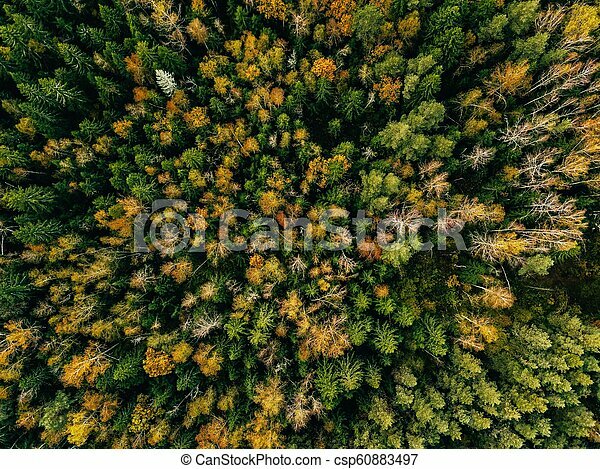 Autumn tree background. 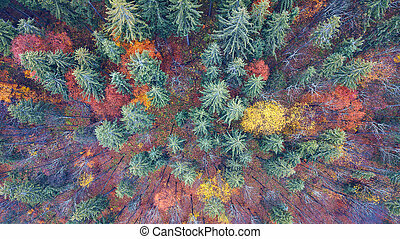 Top down view from drone.